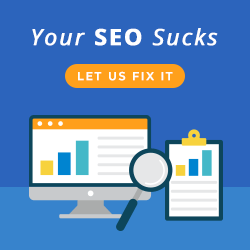 If you’ve worked with Melbourne SEO Services for any length of time, you’ll know we’re huge fans of any technology that helps us to do our jobs more efficiently. 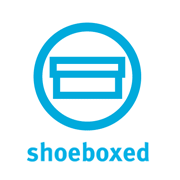 One of our favourite programmes at the moment is Shoeboxed, a software application that lets you create an online filing cabinet for all of your documents, including receipts, business cards, bills or any other paper clutter you may have that needs archiving. Running your own business can be tough at the best of times but one of the most time-consuming aspects of it which tends to put fear in the heart of even the most hardened entrepreneur is the process of reconciling your receipts with your accounts for the year. 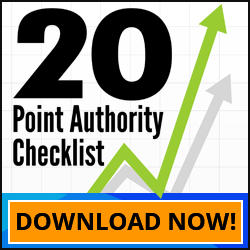 Lots of people these days tend to collect up receipts and pop them all in to a shoebox or file to deal with later, which causes loads of issues at the end of the financial year when you have to go back and work through them all for your accounts. The creators at Shoeboxed obviously understand this way of working, and have decided to replace our physical shoeboxes of receipts with something slicker, more intuitive, and ultimately more efficient than the traditional stash of papers – hence the name! In appreciation of this innovation, we share this Shoeboxed review. Here at Melbourne SEO Services we’ve been using Shoeboxed for a full financial year, and it’s really proven its value as a quick, effective and user-friendly way of storing all of our business receipts in a safe place. Before Shoeboxed, we used to save all of our receipts each month, put them in order and send them off to our accountant. It was time-consuming and laborious, and when we migrated to the Xero online accounting software, we decided to give Shoeboxed a go and see if we could manage our receipts online as well. Shoeboxed is a really intuitive way of managing your receipts and accounting. Before we set up with the software we used to use an online bookkeeper to check all of our receipts but now we can upload all of our purchases online and keep track of them without having to go through our accounts each month to find the paper receipts to upload. With Shoeboxed we can log in easily, match up different receipts, and reconcile them with our accounts to make sure that we have uploaded everything we need for accurate accounting. Shoeboxed lets each member of the Melbourne SEO Services team log in to the central database with a separate account, and upload their own data to link into the company database. This makes for really simple reporting against purchases that we can update as we go along. When you make a purchase and upload the receipt to Shoeboxed you might think it would be tough to find the update when you need to access it. In fact, the system enables you to quickly search through all of your uploaded information quickly and efficiently, hunting down records in a matter of seconds if you need to refer to them again. Yes, it’s as easy as watching this Shoeboxed video review. Instead of having hundreds of pieces of paper floating around the office, Shoeboxed supports you to clear the decks and go for a truly paperless office. All you need to do is send off your documents in one of the pre-paid envelopes supplied, through their free online and desktop uploaders, via email or with one of their free mobile apps. The data you send through to the team is secured by SSL encryption (used by online banks), backed up on multiple servers and available to you anywhere you go. If you’re not convinced, try out a trial. Visit Shoeboxed today. Discover why Melbourne SEO Services uses Shoeboxed for digital filing of documents.